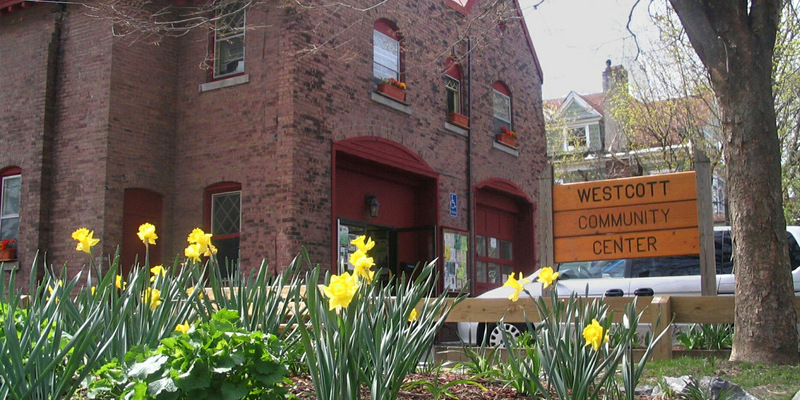 I came to the Westcott Community Center not really knowing what to expect; being a part of the larger non-profit community in the Syracuse area, I was somewhat familiar with the center. Mostly, I knew the Westcott Community Center it for its arts and cultural programming and the diverse community it served. When I was considering the position of Executive Director, there were jokes from some of my colleagues asking when I’d be buying my first pair of Birkenstocks or was I ready to picket in the streets at will. These comments made me wonder. I didn’t really know the community well. I’m not a resident of the area; I live in Liverpool what do I know? Of course I’d been to the neighborhood a few times. What self-respecting mom doesn’t bring their daughter to Boom Babies to buy their prom dresses and follow with by lunch at Alto Cinco or Munjeds. Beyond what I’ve heard and my little experience from my few excursions to the business district of Westcott, I didn’t really have a feel for the community. Still, the position sounded interesting and I’ve never been afraid of stepping outside of my comfort zone, so I happily came to the center last April. It took some time to learn all of the acronyms for the numerous community groups in the area. Between SEUNA, WNA, UNPA, TPA, WACC, there is a plethora of groups representing the needs of one tight-knit community. It was overwhelming at first, but I have come to learn that it’s these very groups led by so many passionate and caring individuals that together make the Westcott neighborhood such a familial community. It has been an incredibly fast and busy first year here at the Westcott Community Center. Initially, there was much to learn about the programming we offer and the people involved in the various aspects of all that center provides for the community. So many people, from the community groups within the Westcott neighborhood to many others in the larger community such as our community stakeholders like Syracuse University, SCSD, Le Moyne College, Utica College, OCC, Erwin Church, Onondaga County Dept. of Aging Adult and Long Term Care services, CNY Arts, City of Syracuse, Volunteer Lawyers Project, Red Cross, Greater Syracuse Works and many more. All of these organizations play a critical role in the success of our programming and of our center. Over time, my comfort level grew. I became a member of this community and I am now heavily invested in making the Westcott neighborhood a wonderful place to live for all of our neighbors. Despite the skepticism and initial doubts from my colleagues, I am proud of what the Westcott Community Center has done this year and its stake in the community. I am also proud to say that I am a member of the Westcott community and that I can play a role in the development of our neighborhood. I am proud of our diversity, our sense of togetherness, and of all the hard work and commitment that community members are willing to show to make their home a better place. I am so happy to be here! If you haven’t had an opportunity to visit the Westcott Community Center in a while stop in and see us. I would love to meet you, show you around and hear what you think about the center and the role we play in the community; ideas are always welcome here! We have some great concerts coming up in May, from Ryan Canavan’s famous Rock shows on Friday the 13th and again on Sunday the 15th. Sandwiched between these shows we have tribute to Bob Dylan on Saturday May 14th . This is a fundraiser for the center, check out our website for more information. The Westcott Art Trail is coming up on June 4th and 5th and as always hosts many talented artist showcasing and selling their art. Our website has more information about our programs and events. Visit us at www.westcottcc.org.